If you’re visiting Northeast England and are also a vegan, you might ask yourself, “Are there any good Newcastle vegan restaurants?” The answer is absolutely yes and The Bohemian might be the answer to your prayers. 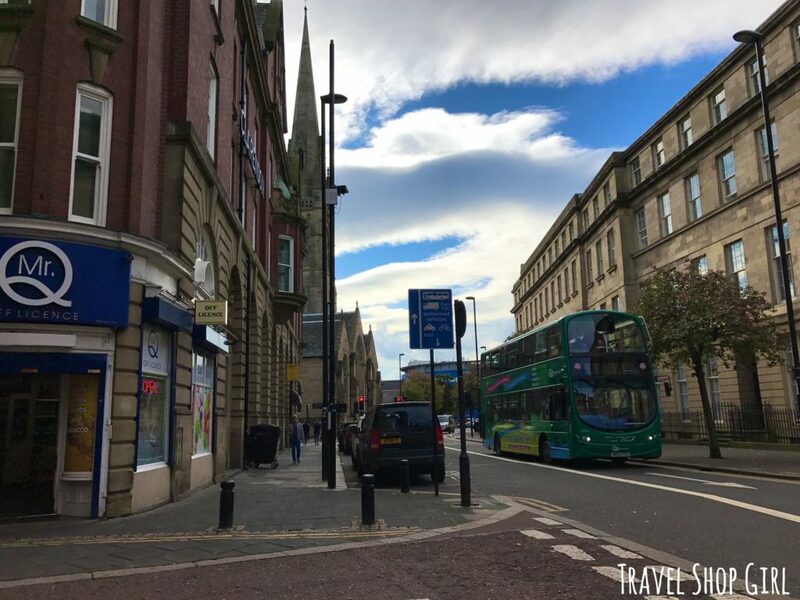 There are at least three vegan restaurants and six vegetarian restaurants in Newcastle-Upon-Tyne, but this should be your first stop. Danielle (Cruise Miss) impressed me and did her research in her home city and discovered a vegan restaurant for us to visit before we left for our DFDS ferry to Amsterdam. We only had a short walk from our hotel over to this Newcastle vegan restaurant with our bags in tow but I was hungry as hell. A quick walk from our hotel and soon we were on Pink Lane, which is all of a two minute walk from Central Station. 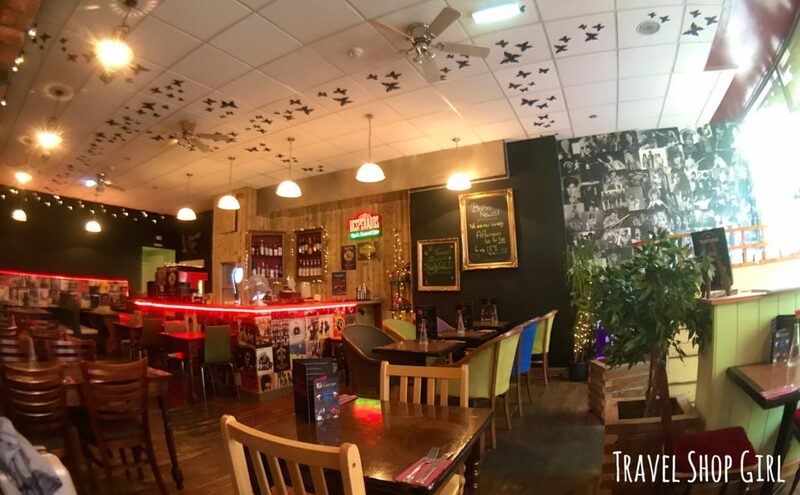 The Bohemian‘s location makes it a great place to stop off before you set off on a departure out of Newcastle. TSG Tip: Are you a history buff? 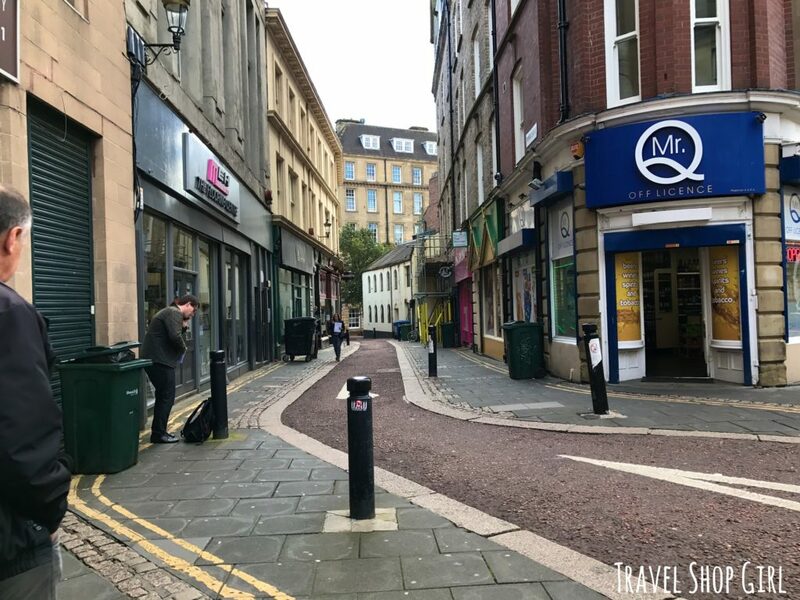 If so, then you’ll want to know that Pink Lane isn’t one of the newer streets in Newcastle. Its history dates from Medieval times when it ran along the inside of the Town Walls in Newcastle. Step inside The Bohemian and you’re transported to somewhere altogether different and magical. The twinkle lights, butterflies on the ceiling, and the rest of the decor is an eclectic mix that gives The Bohemian a relaxed overall vibe. While The Bohemian calls itself a “vegan – vegetarian – kitchen – bar,” I’ll always call it a great little Newcastle vegan restaurant. Tucked away on the opposite side of the room was The Bohemian‘s bar. In addition to beer and wine, you can also order a carefully crafted vegan cocktail. Who would’ve thought that a Newcastle vegan restaurant also makes vegan cocktails? But yes, perhaps you’ll want to imbibe a delicious Passion Fruit Mojito or maybe a Strawberry Woo Woo while you dine on a fresh vegan meal. Vegetarian or vegans know most menus don’t have many options for us. This wasn’t the case with The Bohemian‘s menu. This is only a sampling of the menu and yet I had so many choices. Whether you feel like a salad, pizza (like the Classic Margherita or maybe the Hawaiian), Tex Mex (maybe Nachos or Pulled Jackfruit fajitas), a veggie burger (Black Bean & Walnut Cheese Burger), or a calzone (Chili Dog Calzone), The Bohemian has you covered. TSG Tip: All menu items have additional options so items are either vegan and can be made gluten-free (GF) or are vegetarian and can be made vegan or GF. Just do like I did and at the start of your meal inform your server of your dietary needs. 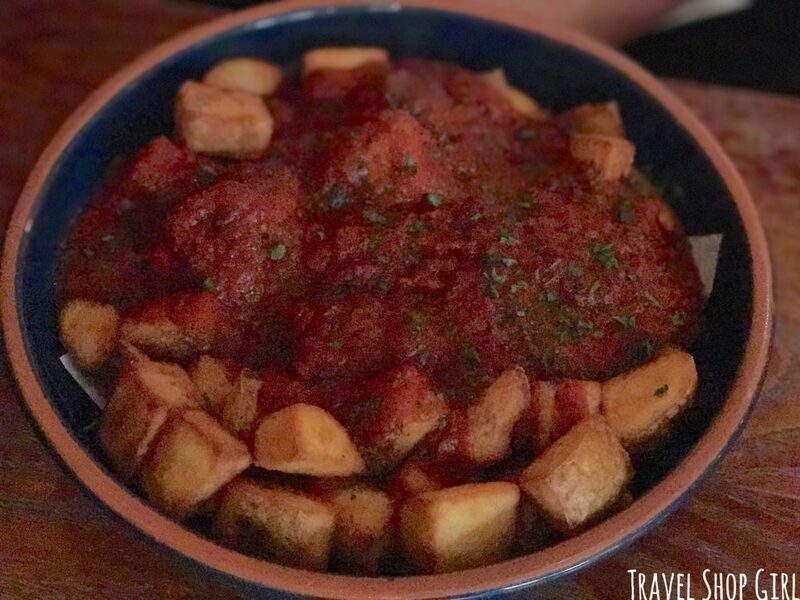 Danielle chose a starter of Patatas Bravas, a delicious Spanish starter of crispy potatoes with a sauce, usually a version of a spicy tomato sauce. The large bowl of potatoes covered in tomato sauce was more like an entrée sized bowl. While good, there was just a lot of sauce, which can and will make the potatoes less crisp and more soggy. Danielle liked them, but unfortunately, even though I really wanted to like them, I found them somewhat average. Since I’ve recently discovered jackfruit, I decided to try the jackfruit starter. The Shredded Peking Jackfruit starter is served with hoi sin sauce, pancakes, spring onion, and cucumber. I loved the presentation of this dish and the texture of the jackfruit itself. Just pick up a pancake, add the spring onion, jackfruit, and hoi sin sauce, roll it up, and eat. Delicious! 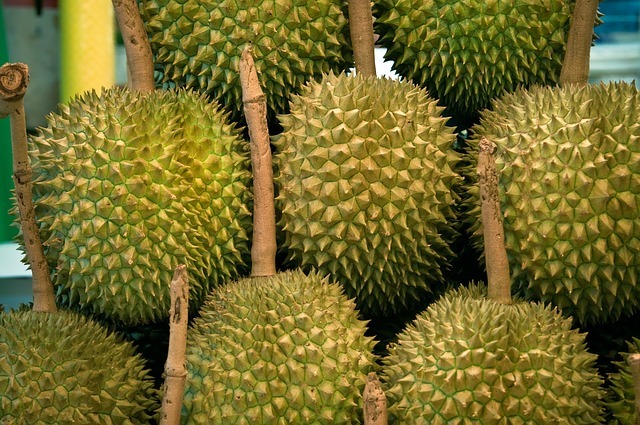 TSG Tip: Jackfruit is a starchy fruit that when eaten raw is said to taste like a combination of apple, pineapple, mango and banana. But when you cook it, it takes on a meat-like texture. Granted, vegans and vegetarians aren’t looking for meat, but as a protein base in a meal, it can work wonders. 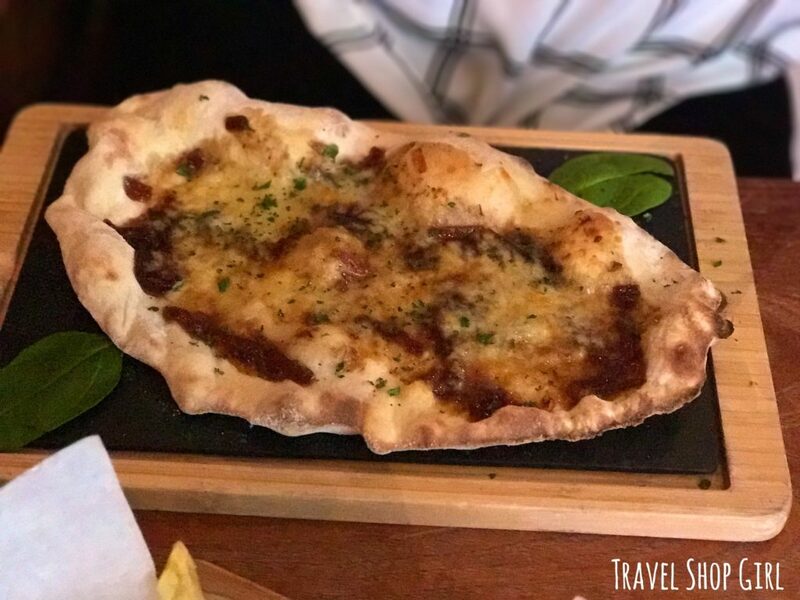 For Danielle’s main, she chose the Caramelized Red Onion & Mozzarella Flatbread. She asked if the cheese was “real” cheese and the server said that it wasn’t buffalo mozzarella, but vegetarian mozzarella. The flatbread was perfectly cooked, crisp, and didn’t have too many toppings to make stuff slide all around. She loved the flatbread, regardless of what mozzarella was used. I don’t mean like or just enjoyed. The girl loved the flatbread so much she said she would definitely come back here again. This is someone who is neither vegetarian nor vegan. If that doesn’t tell you how good the food is, I don’t know what will. We both ordered chips on the side with our meals, of course. 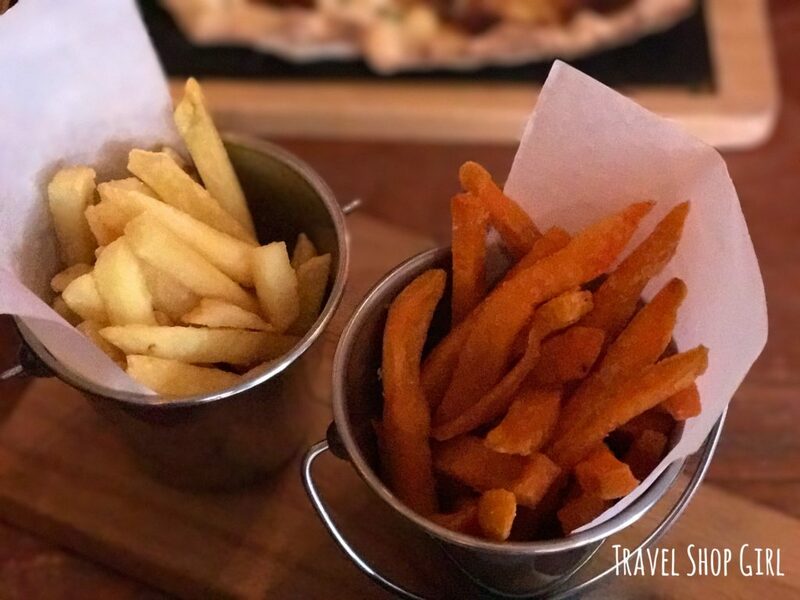 Danielle chose the skinny potato fries and I decided to give the sweet potato fries a go. Both were crispy and not greasy, which is always a good thing. But for some reason the sweet potato fries are far more expensive at £3.50 vs. £2 for the skinny fries. That part I didn’t like as much. For my main, I was all about a salad. I decided to try the Tikka Tempeh Salad, which is Tikka marinated tempeh on a bed of spinach and mixed leaves with green peppers, mango, pomegranate, peach, & a garlic yogurt dressing. I loved having a huge huge bowl of salad, but it was mostly greens. I would definitely have liked more of everything else, especially the tempeh. But overall, my salad that I had made vegan, was really tasty, crisp, and fresh. In addition to their regular menu, don’t forget to check their Light Bites weekday menu. The Bohemian, my go to Newcastle vegan restaurant when I’m in town, also offers a Vegan Afternoon Tea. Available from 12pm – 4pm, you can experience a proper afternoon tea, vegan style. The menu variety at The Bohemian is what impressed me the most about this Newcastle vegan restaurant. Both my non-vegan dining partner and I were able to find great options for a meal. It’s not often that two people with very different tastes can sit down for a meal and say that they both really enjoyed their lunch or dinner. The service was great, location was ideal, and the food was good. Not much more you can ask or want, especially when I wasn’t expecting a vegan meal at all in Newcastle. 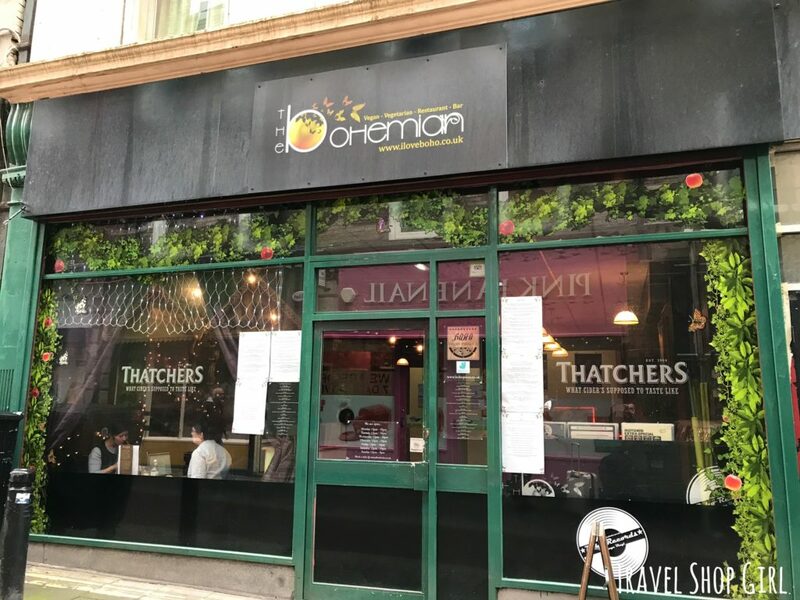 Have you eaten at The Bohemian or any other Newcastle vegan or vegetarian restaurant? Want to share your thoughts on your experience or want to comment on mine? Go ahead and do so in the comments below. 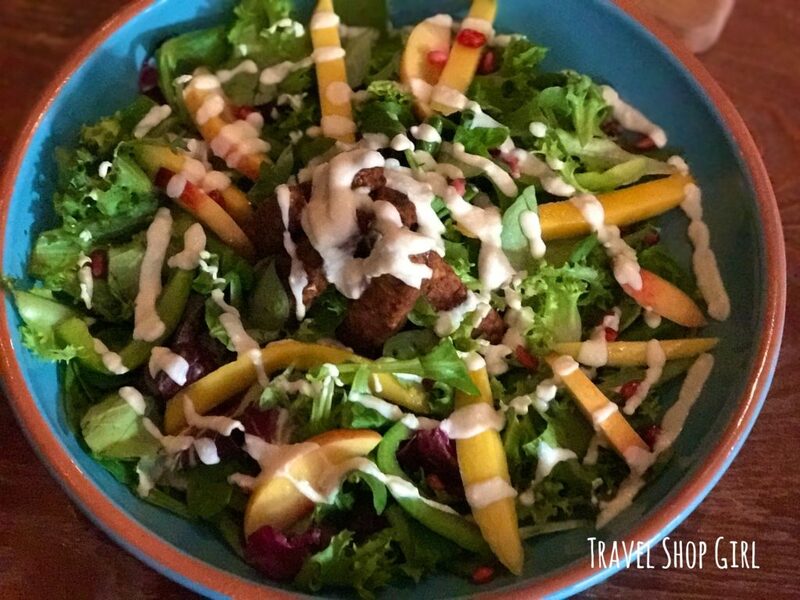 If you enjoyed this Newcastle vegan restaurant review, don’t forget to check out the other vegan restaurant reviews here on the site like “Vegan Nation Lives at Vegenation Las Vegas.” Not a vegan? Don’t worry as you’ll find plenty of great vegetarian restaurant reviews like “The Evolution of Reykjavik Vegetarian Restaurants” also on the Travel Shop Girl website. On my new SPONTANEOUS TRAVEL SCALE of 1-5, with 1 being super easy and spontaneous and 5 being you better plan far in advance, The Bohemian is probably a 2. While I’d expect it might be difficult to get a table during weekend or evening hours, during the day might be easy to slip in like we did. 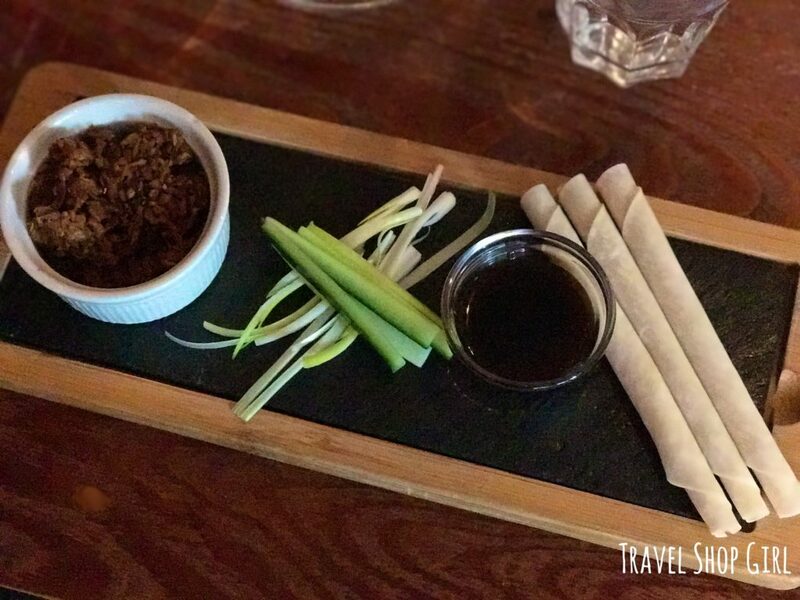 Not needing a reservation to get great food at a Newcastle vegan restaurant gets a big TSG thumbs up as far as spontaneous travel goes.